I was chosen to be one of the first 25 North American Test/Demo users of the new Festool Domino XL which is the Domino’s big brother. New generation Systainers are a definite improvement compared to the 1st generation. Instead of 2 locks its one turn on the front to engage the locking. I also like that old generation units can be attached to the bottom of the new ones, though a little sad its only one way — old units are always relegated to the bottom. I have a few (~4) extra Systainers from McFeelys filled with square drive screw assortments, but I wish the price point would come down on at least the old generation systainer as I’d really stock up on them but they can be prohibitively expensive for other tools. Domino XL Systainer and Domino Tenon Assortment Systainer all have new removable plastic trays instead of the wood dividers in the previous generation. I liked the use of wood in the original generation as it had more feeling of craftsmanship instead of plastic fantastic, but I do like how the new plastic trays can be moved around. I could see if I knew ahead of time what I was working on at a job site just loading up the Domino Systainer’s trays with what I need and traveling a little lighter. Next post — more of the tool in action and using Domino fences. I recently obtained a Festool CT36 Dust Extractor and wanted to share some initial impressions of it. So far I am really impressed with it. My other dust collectors are a Rigid 5HP wet/dry vac with Hepa filters and a Delta full size dust collector with cannister style filter and cyclone stage. Each of those tools has a very different dedicated purpose which could potentially overlap in functionality, but the CT36 has earned it’s keep. Replaceable bags — helps the filters stay cleaner longer, but adds to cost of collecting dust. Looks like for RRP contractors there are some new bags that will allow for easier disposable that seem promising. Price point is pretty high compared to a domestic shop vac and accessory kit to add on common functionality like the rigid pipes, crevice tool, floor tool etc are a separate option in their own systainer drives it even higher. Though once you get over the price hurdle it really is a well engineered machine and saves you time cleaning up especially at a job site. 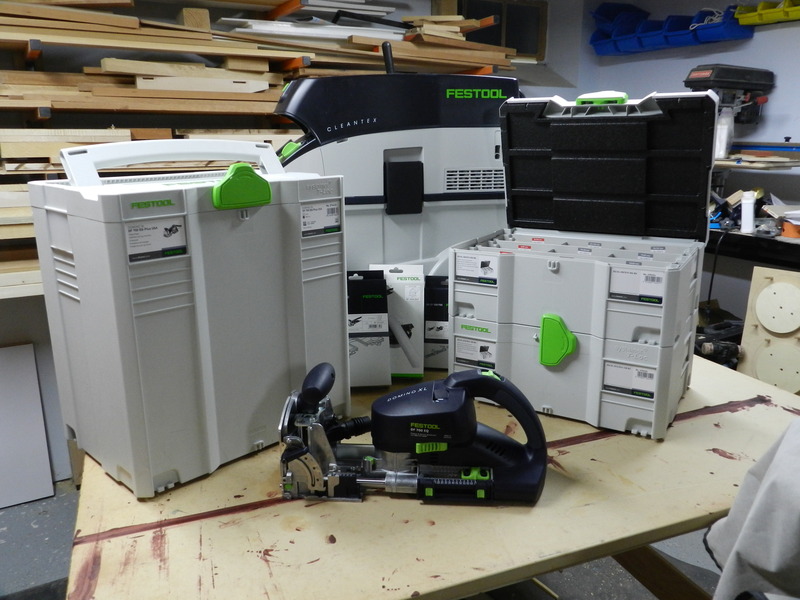 I just received the new Festool Domino XL as part of a trial group and will be reviewing it more in upcoming posts. Stay tuned for more info.